A healthy, certified organic dog food for puppies, made with a variety of meats including chicken, pork, beef and turkey providing a great source of protein for your puppy. This organic puppy food contains only real meat with no genetically modified ingredients, artificial preservatives, colours or sweeteners. Suggested for puppies up to 8 months. Produced from 100% Controlled Organic Farming Freshly Prepared: Organic Chicken (30%), Organic Pork (15%), Organic Beef (10%), Organic Turkey (5%), Organic Carrots, Organic Peas, Organic Spelt, Organic Alfalfa, Organic Cleavers, Organic Spirulina, Organic Kelp, Vitamins and Minerals. 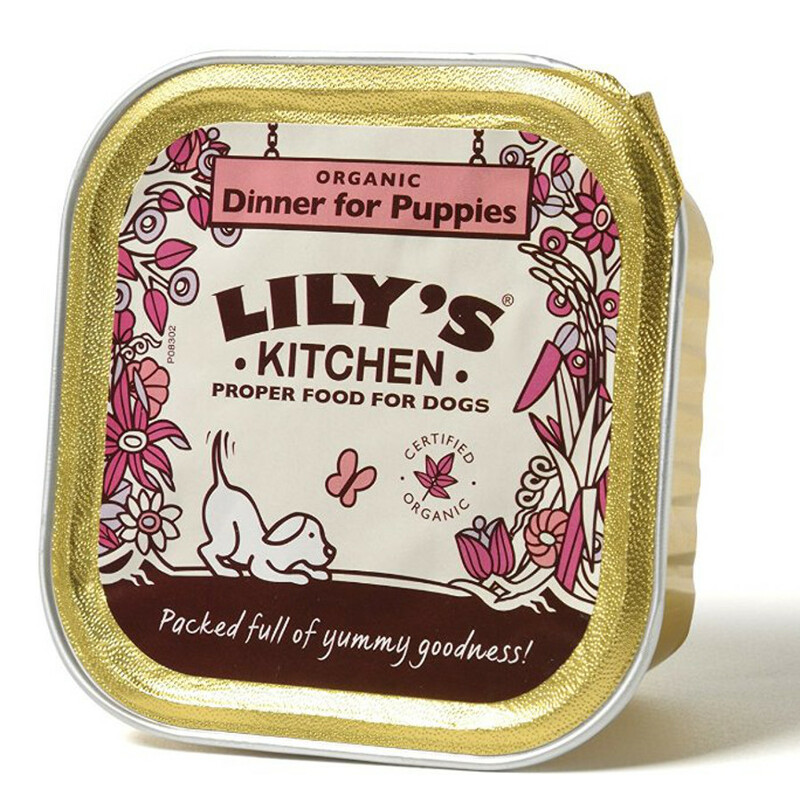 There are currently no questions to display about Lily's Kitchen Organic Dinner For Puppies - 150g.